The Environment Agency joined forces with expert anglers for the second year running to carry out an important survey to assess the numbers of dace. The Environment Agency joined forces with expert anglers for the second year running to carry out an important survey to assess the numbers of a highly prized fish in Northumberland. 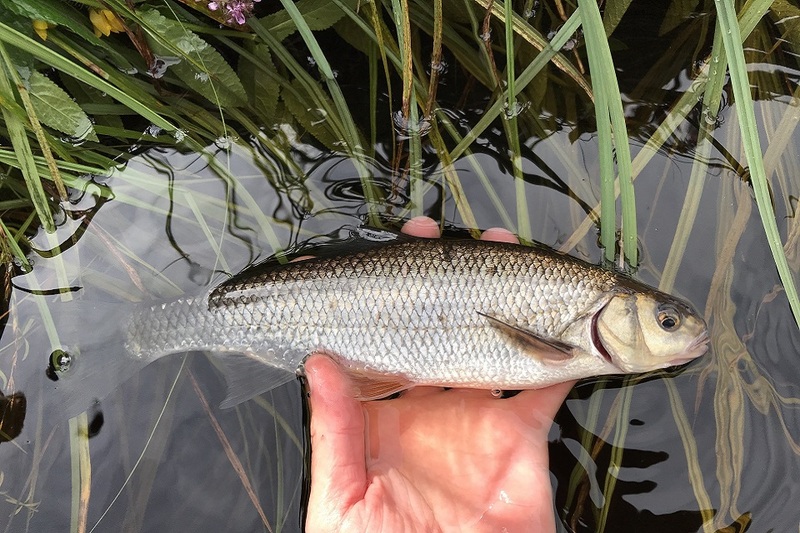 Surveys for dace, the main species of coarse fish in the River Tyne, much valued by anglers, took place on the North Tyne tributary as part of a wider programme to monitor any impact of the revised releases of water from Kielder Reservoir. 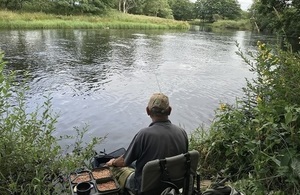 Environment Agency specialists teamed up with 17 expert anglers from the Tyne Anglers Alliance and other fishing clubs – with anglers from as far afield as Yorkshire and the Scottish Borders making the trip – to fish around a dozen locations between Kielder and Watersmeet. The aim was to both update and enhance our existing information on dace populations. There were some great results – including a whopping 27lb catch at Wark and an 18lb bag from Redesmouth. After such a successful event last year we are now looking to run this annually so we can build up a detailed picture of where dace can be found in the North Tyne and also where perhaps they aren’t so abundant. The survey this year was particularly successful in that it showed good numbers of young dace in the middle reaches of the North Tyne. This contrasted with the 2017 survey when almost all dace caught were older fish. Angling was used in preference to other survey methods like electric fishing and netting because dace are highly mobile and difficult to catch, especially in wide rivers like the North Tyne. The Environment Agency, Northumbrian Water and the hydropower operator, Innogy Renewables UK Ltd worked together in 2016 to make changes to the operating arrangements for the release of water from Kielder Reservoir. An annual trial concluded in October 2017 and the changes are intended to maintain the future of water supply to the North East, better reflect the natural changes in river flows, provide increased flood storage in the reservoir and increase the generation of clean, renewable energy. Although the annual trial of the revised release regime ended last October we continue to monitor river flows and temperature to ensure that the environment is protected. Fish surveys such as this one provide us with additional information which increases our confidence that the revised releases are not having an adverse effect on native coarse fish. We have had some feedback from both reservoir and river users on the impact of the releases but would encourage others to let us know if they have any concerns. We continuously monitor river levels, flows and water temperatures at several locations in the Tyne catchment and all of this data is available on request. Other activities to monitor the impact of the new Kielder release regime include temperature monitoring at 11 new sites, as well as electric fishing surveys for juvenile salmonoids and freshwater pearl mussel assessments. For more information and updates on the trial visit the Kielder release website or email Kielder.reservoir@environment-agency.gov.uk with any queries or observations.